Farley Jackson was born in raised in Los Angeles California in the West Adams/ Mid City area. Farley was kept very active in sports at an early age by his father. The area he grew up in was infested with gangs and drug dealers and his father viewed sports as a way to keep Farley and his 4 year younger kid brother out of harm’s way and from the enticements of their surrounding influences. Farley played many sports, but basketball became his favorite. Farley attended Daniel Murphy high school for a year and one semester, and finished out high school at Alexander Hamilton high school. Farley participated in the Music Academy where he learned how to play the keyboard. He quickly put those skills to work with his newfound passion in the art of rap music. Farley formed a rap crew with 2 other music partners that came to be known as the ALLIES (Assasins Lacerating Lungs In Each Session). That group went on to do a couple of independent, underground albums that circulated locally. The group split and Farley became an independent rap artist known as “Stone Kcal1″ As “Stone Kcal1″ Farley landed a reality series by MTV called “Making The Band 2″. Farley never made his appearance on Making The Band because, Street The counsel of legal representation, he decided the contract was not right for him. Farley made his debut to the world of acting when he decided to take the information a friend gave him about an audition for a reality TV show that would choose 12 contestants out of 3000 candidates to compete for a 13 Series contract on the soap opera “All My Children”, that show was LMNOP Production’s “I Wanna Be A Soapstar 2″. Though raw in talent, Farley made it to the final 4 contenders before he was finally voted off the show. Farley decided to make a serious drive to pursue acting, which was actually his childhood passion all along. Up to date, Farley has had several co-starring roles on several television serials, such as his recent role on Betty White’s comedy series, “Off Their Rockers”, as well as performed in, executive produced, and starred in several independent short and featured films, including the award winning film projects, “Brotherly Love”, “Seance” and “Selling It”. Farley is currently partnered with production partner Choice Skinner of Darkan Entertaiment where the company’s objective is to bring quality media and content to the television and film industry. Farley’s latest project is “Wingman Inc”, a romantic comedy starring Erin Cahill, Reid Ewing, Kristopher Turner and Daniele Watts, in collaboration with Vincenzo Productions, in which he plays the role of “Tiny”. 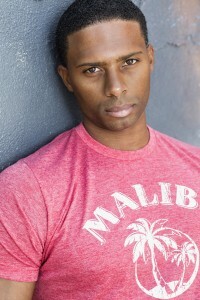 The next two films Farley Jackson will be producing along with partner, award winning director/writer/actor, Choice Skinner, as well as performing in, is romantic comedy, “Big And Beautiful” in which he will be lead opposite Alysia Powell, and the action/sci-fi feature “Alexus (Defender)” in which he will play the role of the infamous ‘Freight’ opposite Anton Troy, star of feature film, “Chillerama” by directors Adam Green and Joe Lynch and writers Adam Rifken and Tim Sullivan.